A convoy system will be in operation while road repairs are carried out on the A87 near Dornie and Kintail next week. 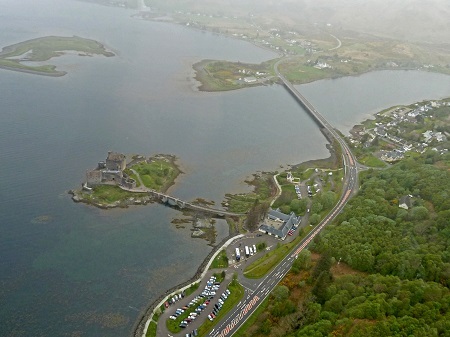 The resurfacing works are scheduled to begin at Kintail Causeway to Inverinate on Monday 11th July for one day before moving to east of Eilean Donan Castle on Tuesday 12th July for three days. The works will be carried out between 7am-7pm each day. The A87 will remain open, however a 10mph convoy system of traffic management will be in place at each location to allow the works to be carried out safely. The convoy system will be removed outside of working hours, however a temporary speed restriction of 30mph will remain as traffic will be running on a temporary surface.